Registration is now open for the Third Annual College Fair and Mentoring Event, hosted by the Hellenic Hearts Educational Guidance Program. 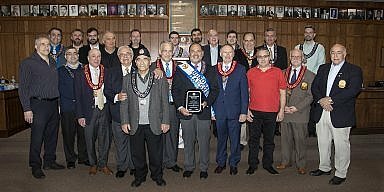 The event will take place on April 20 at Rosemont College in Rosemont, PA.
On April 20, high school students and their parents will have the opportunity to speak with college representatives from major universities in the region, scholarship organizations, and young professional in an effort to identify possible higher education and career paths. 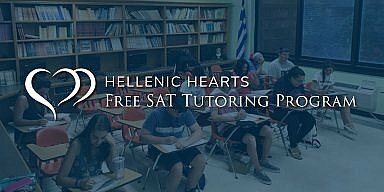 Rising high school juniors and seniors are also eligible to apply for the Hellenic Hearts’ FREE SAT Tutoring Program, an eleven-week Princeton Review prep course that includes four practice test days and ten class sessions. Students interested in applying to the Tutoring Program must attend the April event. In addition to providing guidance to students on their education, Hellenic Hearts offers financial assistance through scholarships for students looking to pursue their education. Students interested in applying to the Tutoring Program or for a Hellenic Hearts Scholarship must attend the April event. 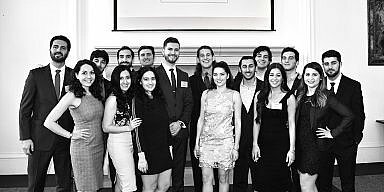 The Hellenic Hearts Educational Guidance Program provides education-to-career guidance to Hellenic American Youth through mentoring, networking, admissions counseling, and professionalism programs, with the goal of promoting higher education and increasing professional success. To learn more, visit hellenichearts.org/egp.